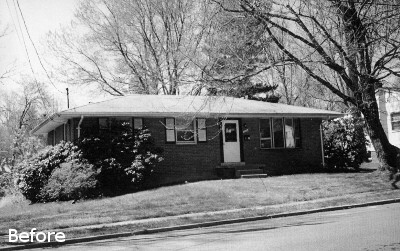 During the post-war period in 1950s, Vienna, VA started to grow as a suburb of Washington, DC. The population of the small town grew by over 10,000 as lower land prices and new development made the community an attractive escape from the city. Most of the residential neighborhoods built in Vienna during this period are typical of those throughout the region and and composed of small brick ramblers. Although small, these homes were well constructed and most of them are still occupied today. 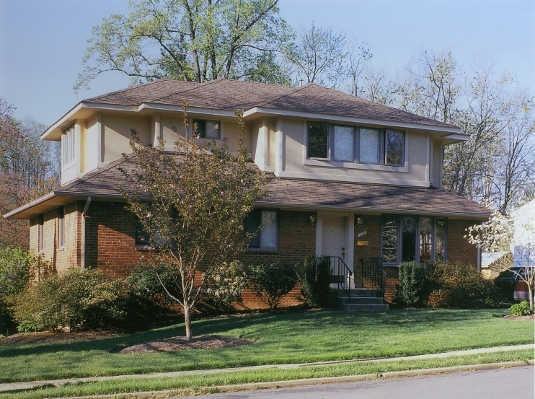 Our client lived in one of these homes for over 10 years, until the house could no longer meet their needs. The home’s convenient location was so desirable that the owner decided that they would prefer to renovate the house rather than purchasing a larger home nearby. A feasibility study and cost estimate confirmed that renovating the home would provide them with the amenities of a new home for less than it would cost to purchase one. 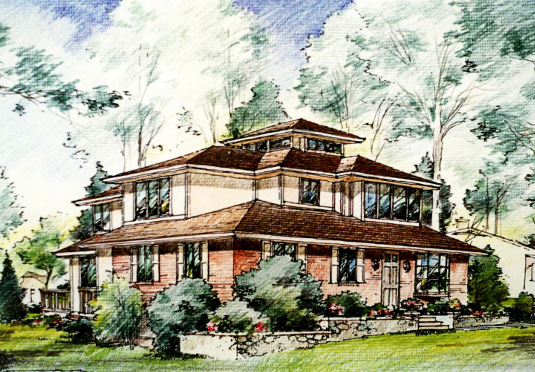 The owner’s preference for Prairie Style Architecture became the inspiration for the design. 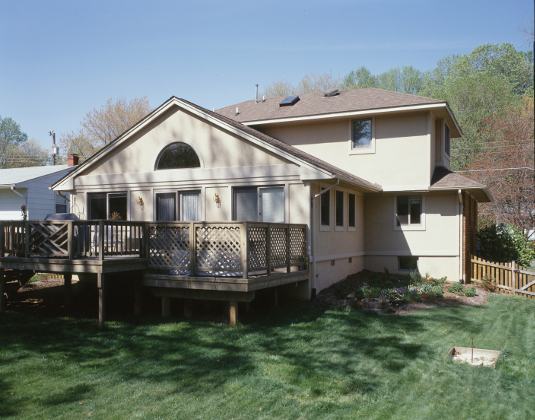 A new second floor addition was constructed over the existing masonry walls and tied to the existing building with a hipped roof. Inside, formal spaces are located near the ground floor front entry with the more relaxed areas positioned towards the rear taking advantage of the back yard privacy. The bedrooms were reorganized to easily accommodate guests and lend space for quiet activities. The home now has all the features of a new home and can continue to serve its owners into the future.